Remember how well you slept that night after taking a dip in the sea? Well, there’s a reason for that. Seawater soothes the nerves and helps to calm the mind and spirit. 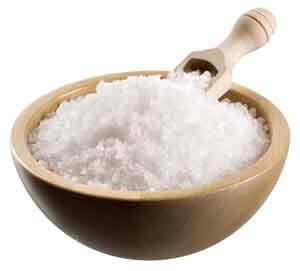 Unlike refined salt, sea salt contains minerals and trace elements that are beneficial to our health. This includes iron, magnesium, calcium, potassium, manganese, zinc, and iodine. You can easily duplicate that deeply relaxing ocean soak in your own home with a sea salt bath. How to do it: Add one cup of sea salt to your empty tub. Turn on the hot water to fill, then soak. You can also add the sea salt after the tub is filled, but if you do it my way, the running water will help mix the sea salt for you. *** While Dead Sea Salt has been heavily marketed for its added benefits, this is somewhat debatable, and regular sea salt works just as well. would this sea salt bath be good for keloids also? to you think she an infection from bacteria or some fungal infection? Hi carol, this article may be helpful to you.